As I've gotten older I've been more mindful of my health and how vital it is to take care of yourself on a daily basis. We are very fortunate to have resources available to us to keep ourselves healthy, like health insurance for regular check ups, and money to afford vitamins. But what about those who aren't as fortunate as us? That's where Life Equals comes into play! Here's the thing... currently in the world there are 2 billion people (1 our of every 3) that lack essential nutrients. 1 in 3 children across the world die due to malnutrition. And this crisis is THE #1 most addressable issue facing humanity today. So it makes sense that this scary yet realistic circumstance is why Kyle FitzGerald (CEO of Life Equals) quit his day job to help chase his dream of helping American's life healthier and providing children with vitamin products when they can't afford it. Their first product was Focus & Energy (which I actually tried) and it was designed to give you calm energy without sugar and calories. For every bottle you buy Life Equals actually matches that amount by giving children's multivitamins to malnourished children worldwide. 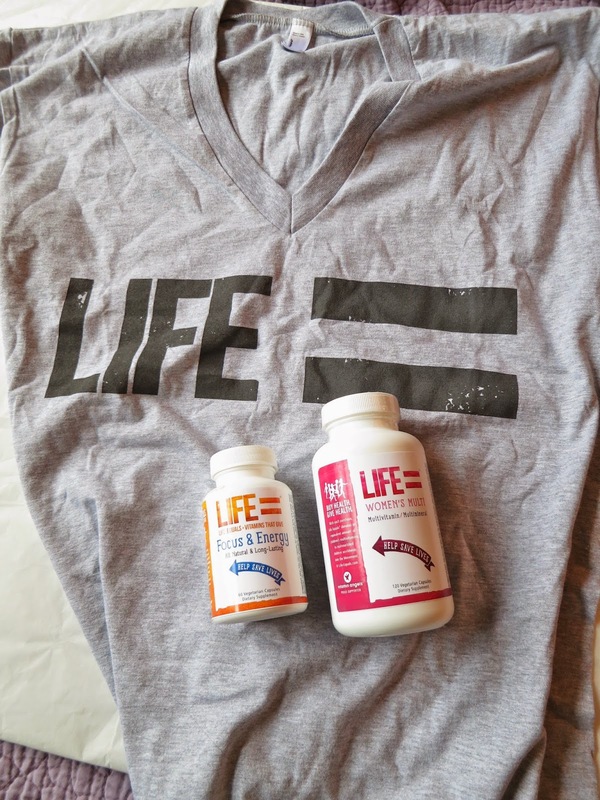 And now, Life Equals has given out over 250,000 children's multivitamins! I am so impressed with how effective the two vitamins I tried out were. The first was the Focus and Energy. It really was great for someone like me who works all day and then comes home to my next job of blogging. I need to be able to stay focused and alert. The pill was easy to swallow and dissolved quickly. There was no side effects or anything aside from feeling focused but not on edge! It's full of a special blend of ingredients including B-Vitamins, Herbs, and Amino Acids. These have been shown in scientific studies to assist your mind and body with focus and energy. It's a natural source of caffeine that's gentle and subtle but long lasting! No jitters, energy spikes, or crashing! I love everything about this product. I also have been taking the Women's Multivitamin which is a blend of vitamins and minerals in the most bioavailable form to increase absorption. Everything is herbal and organic. There are plant-source enzymes for improved digestion and these vitamins are gentle on the stomach. Taking a multivitamin is super important since it's very hard for us to get all our daily required amounts of vitamins and minerals just through what we eat. And if you love subscription programs, this is perfect for you... 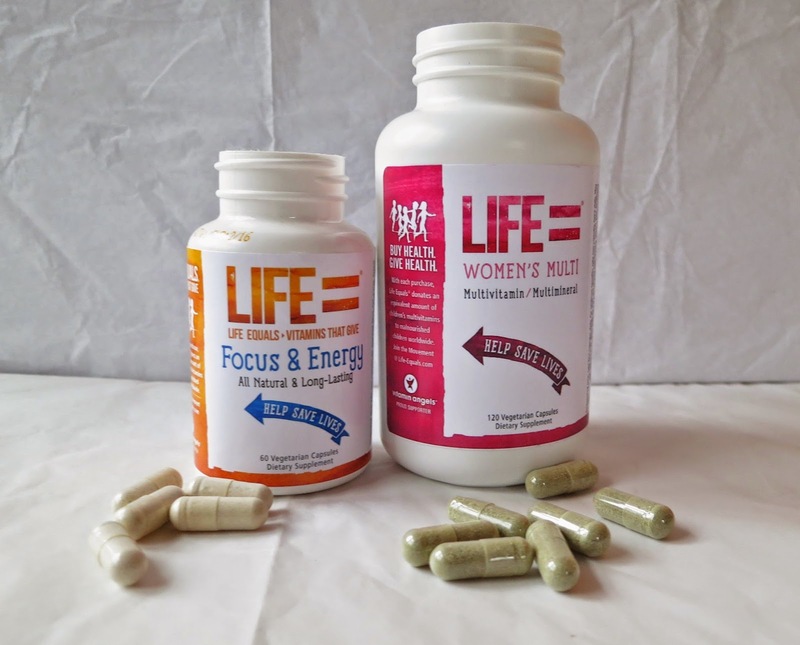 If you sign up for the Life Equals monthly subscription program you'll get 15% off and free shipping. And for the first month you even get 75% off their products. You can cancel at any time with no obligation! And 2 lucky winners will each get a bottle of their choice from Life Equals! i would love to try the women's multi vitamin! I love buying products that give back! I'm definitely going to check these vitamins out! I would choose to try the Focus & Energy capsules, provided they are guaranteed gluten-free. Thanks. My favorite is the WOmen's Multivitamin. I would choose the Womens Multi Vitamin. I think the focus & energy would be great to have. Restaurant.com - Best Deal. Every Meal. Everyone Needs A Fab Habitat + a Giveaway!